Finding your own wild food is fun. In Sweden, the right to do so is even protected by law. That means foraging for mushrooms, berries and plants are free. So if you find yourself in Sweden and want to find some food keep on reading as I will take you through everything you need to know to forage in Sweden. Foraging is always a good idea. Not just in Sweden but wherever you find yourself and where there is food to be found, that you are allowed to take of course. 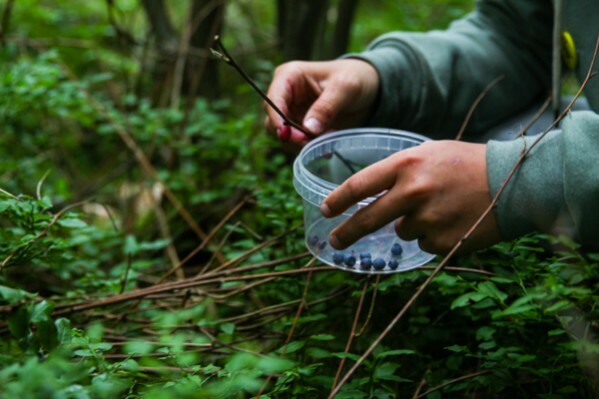 Foraging has become a trend among foodies and chefs the past ten years or so. The New Nordic cooking has of course been a big part of making this trending but it is nothing new. In Sweden and around the world collecting food in the wild has been part of survival for as long as we have been humans. 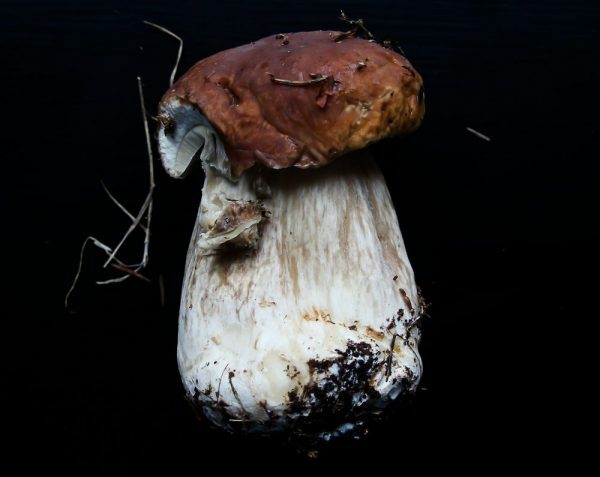 In Sweden, people have been picking berries and mushrooms always, no matter what has been happening at a certain luxury restaurant in Denmark. To find out how it is to eat there you can read this. So foraging is nothing new and people have been going to the forests no matter what trend the young and cool have started doing. The fact that foraging has become a trend is not bad, if that makes more people enjoy nature and can pick some food for themselves while doing it then I’m all for it. 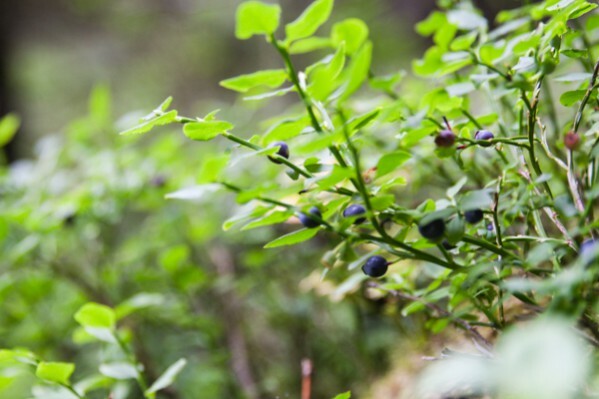 Now let’s go through what you need to know and how you can forage in Sweden. I’m sure much of this applies in many more places than just Sweden but since this is where I live and have been foraging since I was a child let’s stick to what I know. Foraging or to forage simply means Search wildly for food or provisions. I think we can skip the provisions part here. What I mean by foraging is to search and collect food in the wild. Simply walking out in the forest or whatever type of nature you have closeby and pick your own food. As I mentioned this is not something new no matter how trendy it is at the moment. Foraging has been a way of surviving since forever. So if you don’t need to do it to survive why should you? There are many reasons why you should try foraging. First getting out of the house or apartment and spending some time in nature is always a good idea. Fresh air, a little bit of exercise and just hanging out with friends and family. What’s not to like? Then there’s the food. Some are easy to recognize and find and some require both some training and might not be so easy to find. But eating a bilberry pie made from berries you picked yourself is unbeatable. Even if you don’t find enough to take home a stroll in a forest while eating a few berries on the way is not a bad way to spend a Sunday afternoon. What do I need to forage? This depends on what you will be looking for. I mostly forage for mushrooms and berries. So I bring a wood basket for the mushrooms, a small book on mushrooms in case I run into any types I’m not sure of. A small paring knife so you can roughly clean the mushrooms in the forest as well. Besides that, I bring a few smaller plastic storage containers. I use those for berries or if I find something I wasn’t planning on. The reason why I choose this is because mushrooms stores best kept airy. So the traditional thing is a wood basket. Big paper bags work ok too. Berries both keep good in plastic containers and since you might pick a few different varieties this is an easy way to keep them separate. Is foraging in Sweden legal? Yes, it is. Anyone can walk into the wild and pick food. The right to do so is called the Allmansrätten which translates to All mans right. A more natural way to translate it is The Right To Public Access. It’s a law that covers more than just foraging. The right to public access includes the right to camp, hike, ride a bike, forage and even light a fire. All these rights do come with plenty of responsibility. You are a guest in nature. That means that everything you do should be done with respect and without causing danger, damaging anything, disturbing animals or anything like that. There is a great PDF in English all about The Right To Public Access. In it, they sum up the law with the phrase “Don’t disturb, don’t destroy”. Follow that and you should be fine. Now for the fun stuff. What can you find in the wild? Before I begin let me just point out that these are the most common foods that I personally pick a few times a year. There are plenty of others if you read up on things. Especially when it comes to plants and herbs, I haven’t picked many of those. That said there are poisonous plants and berries in the wild. So make sure to be 100% sure that what you are picking is free to pick and edible. During the mushroom season, there is always a few people every year who make mistakes and end up in the hospital or even worse, the grave. Make sure you won’t be any of those people. Luckily almost everything I describe below is easy to spot and there’s not much you can mistake it for. No, you can’t. To find out exactly what you can pick or not you can check the guide on right to public access. Some species are also protected and can never be picked. I can’t find them listed in English but here is a link to a Swedish list. All species I list below are free to pick. 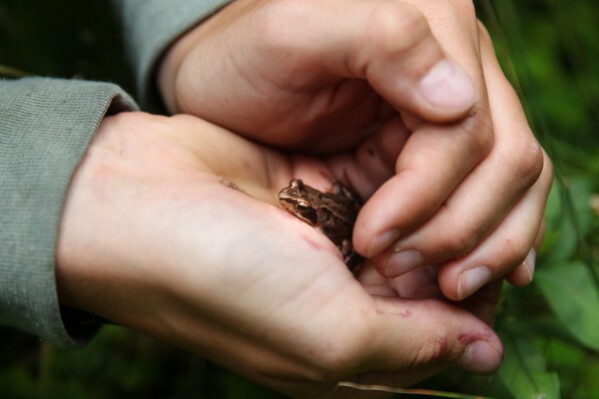 This is the most popular thing to forage in Sweden and they can be a little bit tricky to find. There are many reasons why but the seasons and other pickers are the biggest. Great places for foraging mushrooms aren’t so easy to find so people won’t tell you where to go. What I do is simply to head out and search. When I find some good mushrooms I drop a secret pin in my Google Maps. That way I can find the place again. That does not mean that it’s just your spot, several people might have the same spot so you still need to be lucky. Sadly mushrooms are unpredictable and how much there is depend much on the weather. Most of them need lots of moisture and a warm autumn. So one place where you picked lots last year might not have a single mushroom this year. The king of the Swedish forest. Easy to spot and delicious. This is the most sought-after mushroom and since it is easy to spot it always gets picked first. I love it in the kitchen, just fried in butter on a toast or with something else. Why not try any of these five Chanterelle recipes. 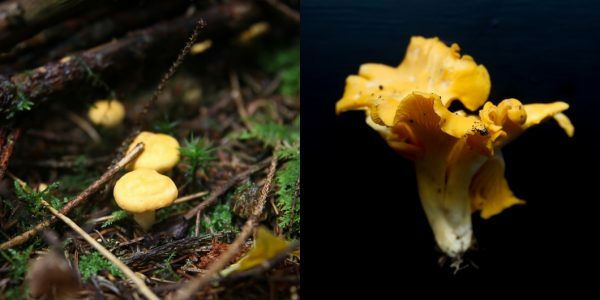 You can find chanterelles in most forest areas except the Northern inlands. The season spans from as early as June until the late fall. Or Trattkantareller as they are called in Sweden. Easier to find and once you find one there are usually thousands. The stem is hollow and they release more water when you cook them than regular chanterelles. 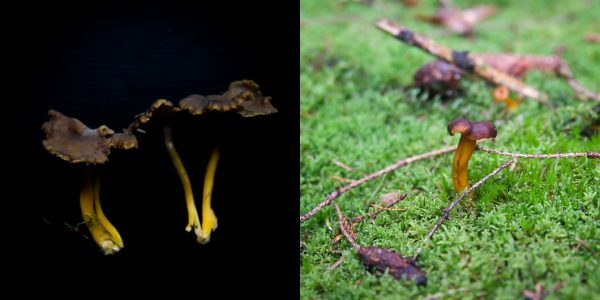 Funnel chanterelles arrive later than regular chanterelles. From August until late fall. They are found in about the same parts as the chanterelle. Often overlooked for reasons I haven’t figured out. This is a delicious mushroom that actually gets exported to Italy where it is the king of mushrooms. The porcini mushrooms are big and just a few can be enough for dinner. The downside is that they often get eaten by insects so make a cut in it when you find one to make sure it is good enough to eat. There are loads of edible mushrooms to find. Since there aren’t many mushroom books made for Swedish mushrooms I recommend learning more online. There are many great websites dedicated to just mushrooms. Probably the second most common thing for pickers. Bilberries are the European type of blueberry. It takes a lot of time to pick but they are delicious. 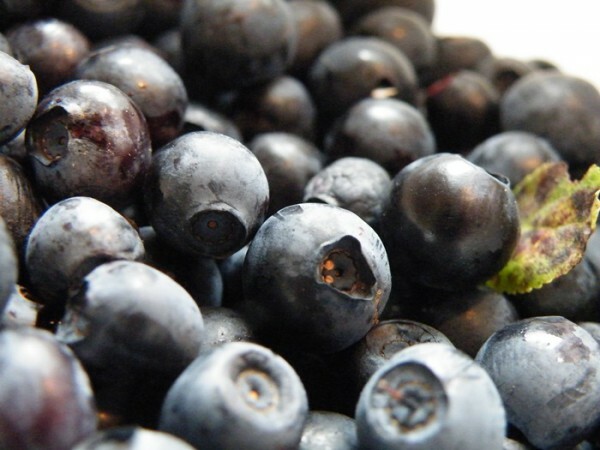 I have a separate post all about blueberries and bilberries and what the differences are here. 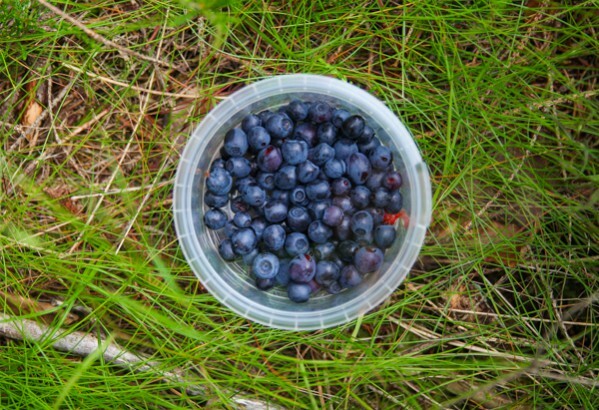 Blueberries are one of the most common plants in Sweden and roughly 17% of its surface. Lingonberries or Swedish meatballs best friend. Lingon is common in most parts of Sweden but slightly more common in the northern part. They are ready to pick in August-September. 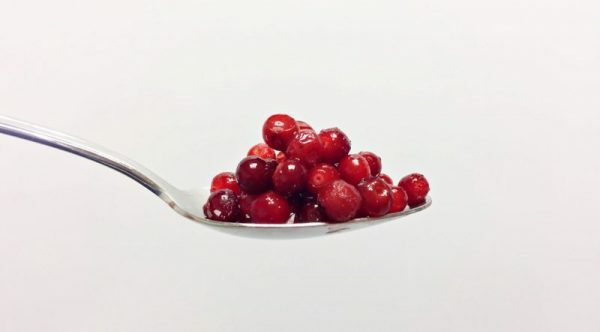 To learn more about lingonberries I have a huge article about that here. If you are more interested in making some Swedish meatballs head over here. Blackberries are not as common as lingonberries and bilberries. But along the south and western coasts of Sweden, you can find plenty. The shrubs have plenty of thorns so use long sleeved clothing and maybe even some gloves. Rosehips are not really a wild plant but are common in public plants and used to be a lot more common in private gardens. So you can find rosehips in public places and former gardens where they have spread on their own. Rosehips are an overlooked ingredient that not that many people forage. Part of the explanation is that it can be a bit unclear on when it is ok to pick them. They are also a hassle to clean. Each fruit needs to be cut in half and cleaned to avoid a powder similar to itching powder which surrounds its seeds. Wild raspberries can be found in forest areas, often close to roads and open spaces. The wild varieties is far superior to the garden. They are however much smaller so don’t expect to find very much. Wild strawberries are called smultron in Sweden. Commonly grown in gardens and can also be found in the wild. It’s unusual to find very much at the same time. It is worth it though. Wild strawberries are one of the best-tasting berries there is. This is a nice one to forage. The season starts in spring when you can pick the Elderflowers. The flowers are primarily used for lemonade. Elderberries works great in both drinks and desserts as well. This Elderflower Gin Smash is a great recipe to start with. The flowers turn to dark blue berries during the summer and these can be used for pies, syrups and much more. The berry is a bit overlooked in Sweden, most go for the flowers and forget about the berries. If you want to use the berries use clothes you’re ready to get stained. The berries leave plenty of red color on both your clothes and hands. Sea Buckthorn can be found in dry areas along the coastline. The berries grow on thorned bushes or trees and on a good year the entire trees can be orange because of all the berries. They are a hassle to forage because they sit hard on the branches and the thorns are plenty and sharp. For commercial sea buckthorn branches are cut off and frozen, after that the berries are shaken off the branches. Many of the berries so far are far more common in the southern parts of Sweden than in the north. This is where they get repaid. Cloudberries are absolutely delicious. I never picked any myself but if you are going far north do try to pick and eat some. 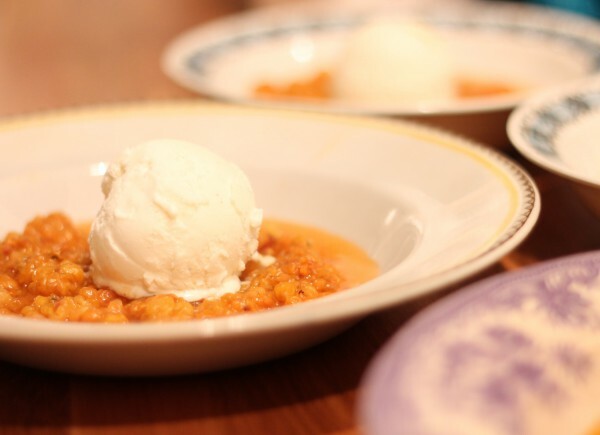 Here is an article all about the cloudberry if you haven’t heard of it before. Here I fall short. 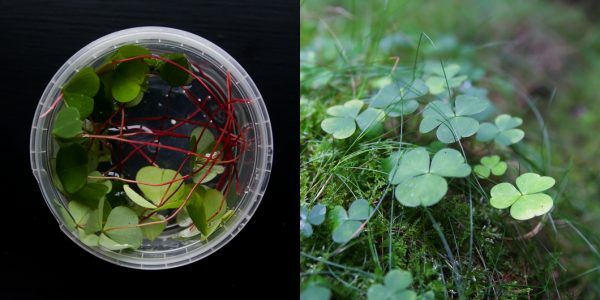 The only thing I harvest when it comes to herbs and plants are wild wood sorrel and nettles. Nettles are easy to find, it grows wherever you don’t want it to in your garden. If you don’t have a garden you can find it in parks or whichever green public spaces you have where you are. Best to pick in spring but they grow all through summer and autumn. Wood sorrel is easy to spot and very common. The stem is red to pink and once you’ve learned to spot the leaves you can pick as much as you want to. I keep them in a plastic jar in my fridge with a little bit of water and they last for way longer than you might think. My record is around ten days and they still both looked and tasted great. Here’s a recipe with both chanterelles and wood sorrel that you can try out. Many of the things I suggest here is found in the forest. Don’t limit yourself there. You can forage anywhere that is not a private place. The coastlines, green areas in towns and wherever you find. Sweden is big and the seasons and where you are can make a big difference on what to look for. If you don’t have Swede to ask or that will take you visit the local tourist information. They usually know where you can go, they might not give you their secret chanterelle spot but they can point you to nice places to stroll and maybe discover one for yourself. Oh, and make sure you don’t get lost. Is there a book I can get my son about this please. He lives in Sweden and would like a book. Most ones are about mushrooms but are in Swedish, simplest way would be to visit a bookstore and ask. Good luck!